Just outside of Thessaloniki within the first hour we had to pull over so I could snag a fresh fig right off a tree! by far, hands down my favorite fruit ever! I live for summers in Greece just so I can pick the figs! Angie H is back with another hyper local Greece post with insider tips that will be sure to get you excited for a trip there! Angie H is the owner of the Best Salon in Columbus Ohio by day and a world traveler whenever possible, check out Jekyll and Hyde HERE! 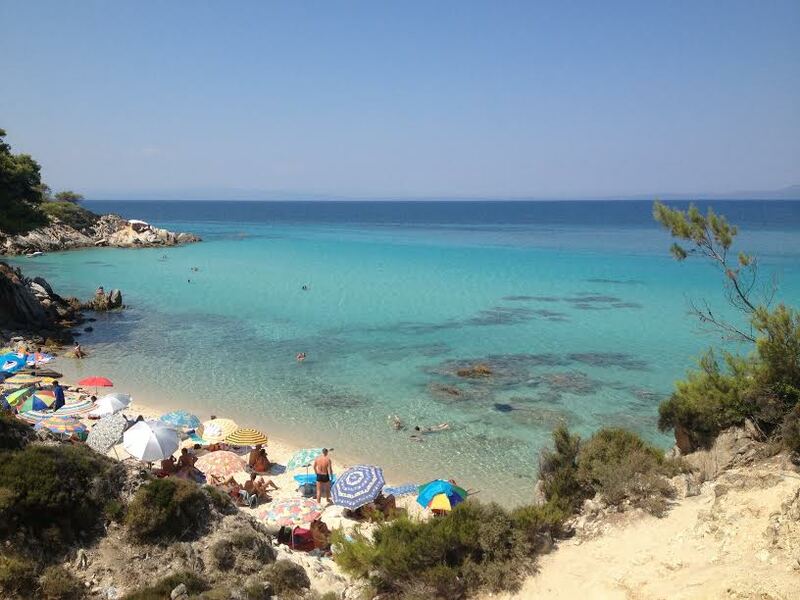 If you missed Touring Greece Like a Local Part 1 by Angie H check it out HERE! And then this little guy and all his friends walked by! Most of the land is full of farmers, its not uncommon to see a herd of goats or donkeys walking by the road. And then finally... The Beach!! We are here in the town and area of Afytos, Halkidiki, Greece. About an hour from the big city. On the first of the three legs or peninsulas of the Halkidiki region. The pristine water steals your eyes and feels like a warm bath you never want to get out of. All of a sudden there is this guy walking the beach selling the Koulouri and donuts!!! Koulouri is a traditional Greek sesame round bread we like to eat in the mornings with our frappe or just because. Sweet bread. Yes please. It won't spoil and it only costs about 1euro so I took one for later too. The entire region of Halkidiki is filled with small beach coves and hip little towns you can drive all up and down throughout the day to visit, camp or stop for dinner. This cove was perfect for us as it didn't have many people. We love to find spots that have few to no one at all. The pristine water steals your eyes and feels like a warm bath you never want to get out of. This was the perfect afternoon of mild people watching, tons of swimming and then right when you're feeling like "I'm so hungry but how can we leave this picturesque spot" . Looks like it was time to go find that food and leave that spot! I'll be back again soon with more of the country that I love so much! Leave your comments below for any Greece related questions and I'm happy to answer them! Sign up in the footer for the email list and you might just be a lucky winner!